A method for formation of optical scatterers based on multiplex holograms is proposed. The synthesis of complicated holographic structures that scatter the incident radiation in a solid angle is theoretically analyzed. 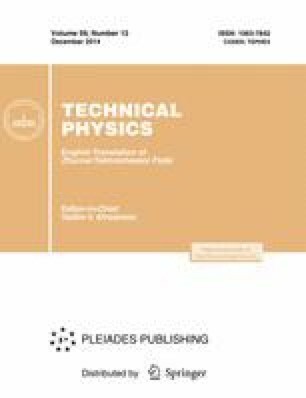 A significant effect of the methods for profiling of the surface of the silver halide photolayer on the characteristics of high-efficiency diffusers is experimentally demonstrated. Original Russian Text © N.M. Ganzherli, S.N. Gulyaev, I.A. Maurer, D.F. Chernykh, 2014, published in Zhurnal Tekhnicheskoi Fiziki, 2014, Vol. 84, No. 12, pp. 112–116.